Parent’s that have one or more children in college will have accumulated student loan debt. Furthermore if the child is placed on college suspension or graduating will owe on the average $30,000 in student loan debt. In fact those graduating this year the debt may even be more simply because Congress was unable to reach a decision regarding the interest rates on government issued student loans. The interest rates just doubled from the 3.4% to 6.8% for federal student aid which includes both subsidized and unsubsidized loans. This of course does not apply to a child taking out or the parent signing a promissory note to obtain a loan through a financial institution. At the same time young adults between the ages of 19 to 28 have to worry about the professional job market. The job market for many of these college graduates will be bleak to say the least. Since they will be up against adults that have lost their job because of outsourcing or the business has foreclosed do to the economy. These adults have experience along with high education will most like get the job before the new graduate from college. Of course if the bachelor degree is in the following fields of science, technology, medical, research, STEMS or mathematics then finding a job is slightly easier compared to other saturated fields. Unfortunately for these individual’s it might take months to years before they can find employment in their field of study. While the graduate is continuing to look for employment and still not working then how will they handle student loan debt? Consequently parents, graduates or young adults have two options when it comes to handling student loan debt and the interest of loans that equaling $30,000 or more. Parents and young adults struggling with student loan payments may qualify a deferment or make payments on the interest during forbearance. Many of the deferments are not done automatically so the individual would need to submit a request to the financial institution that services the loan. In addition the person would also need to contact the college or university financial aid office. 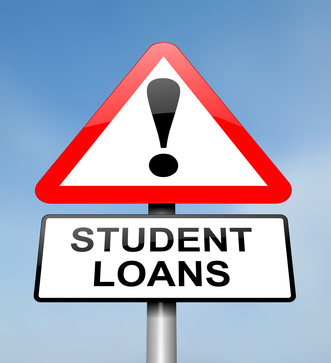 If at any time the student is in college part-time, in grad school or a career/technical school, along with not being able to find full-time employment or unemployed are all ways a person may qualify for a deferment from the loan. Another way to have a student loan deferred if they have experience economic hardship do to being away for military service, natural disaster and being in the Peace Corps. There are several websites that have information available about getting a loan deferment. One of the websites that is important to check with at the beginning of each New Year is the Federal Financial Aid or FAFSA at the www.FAFSA.GOV. The application should be completed no later than the first of March each year or as soon as all the prior year’s tax information is available to them. Mandatory is for students who do not qualify for a deferment. However it can be requested if the student is in a dental/medical internship, medical residency program, a national service program, providing teaching service, or have been activated by the governor as a member of the National Guard. The other way a person may receive mandatory forbearance if the student loan payments each moth totals more than 20% or more of their gross income. Discretionary is only granted by the financial institution that gave the student loan. This helps the student to learn the best way to handle student loan debt. If the choice is not to pay the interest but to let the interest of the student loan accumulate then this may also be capitalized. Capitalized means that it can be added to the principal balance resulting with the person paying interest on it as well. Then again if they do not qualify for either deferment or forbearance the next step is to negotiate a change in the repayment plan. Parents and college graduated adults for this reason should go to the Studentloans.gov website. There they can use a repayment estimator to see if they are eligible for a variety of payment plans and give them an estimate of monthly payments. This way they can begin to handle student loan debt in their budget. However parents and college graduates might find that this simplifies to a onetime payment each month. People need to look at all payment plans before making an important decision and learn how to handle student loan debt. These loans usually have a 30-year term which will increase the interest in the long run. This will also mean for the college graduate that they will be paying on the student loan until they are in their 50’s and have a family to take care of along with its responsibilities. Of course if the parents are paying for more than one child in college and financial responsibilities until that graduate student gets on their own. These individuals will be paying on student loans until their 60’s before the student loan is completely paid off. In this case parents and young adults should compare any new payment to their current monthly payments to make sure the best option is a direct consolidation loan. Provided below is several types of loans that can be placed into a direct consolidated loan. People should check on the financial aid government website to see if there have been any changes to the loans for college students. A final point is there is a movement to forgive the debts of student loans. The following video discusses the idea of forgiveness and why it might not be such a good idea for the economy.